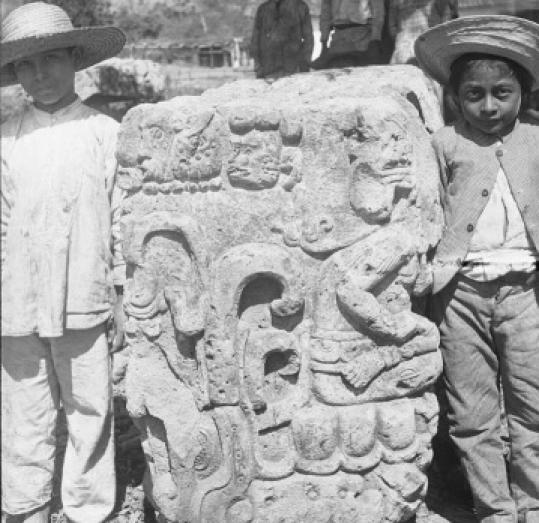 Edmund Lincoln took this photo of monuments in Copan, Honduras in 1893. Broken promises Dr. John Abramson, a long-time family practitioner and author of a book about how the corporate takeover of clinical research and medical practice is compromising Americans' health, will speak at Harvard's Countway Library of Medicine. At 4:30 p.m., 10 Shattuck St. Go to countway.harvard.edu. Hospital reading Author Julie Salamon will talk about her most recent book, which focuses on the gap between how hospitals are portrayed on television and how they actually work. At 7 p.m., at Brookline Booksmith. Go to brooklinebooksmith.com. Ancient photography Harvard's Peabody Museum of Archaeology and Ethnology will open a new exhibit of photographs from a 19th-century exploration of communities in Mexico and Central America, including the Copan community in Honduras. Curator's gallery talk at 5:45 p.m., at the museum, 11 Divinity Ave. Go to peabody.harvard.edu. Aiding in crisis zones Doctors Without Borders aid workers will discuss the challenges of reaching people caught in conflict, treating malnutrition, and responding to epidemics all over the world. At 7 p.m. in the Boston Public Library's Rabb Lecture Hall, 700 Boylston Street. Call 800-601-1466 or go to doctorswithoutborders.org. Circle of life Beth Israel Deaconess Medical Center will hold its 15th annual Celebration of Life, a day of workshops focused on cancer-related topics. Registration required. Begins at 8 a.m., in the Harvard Medical School Quadrangle, 200 Longwood Ave. Go to bidmc.harvard.edu/col.